Terracotta Army was discovered in Shaanxi province, China. The figures, dating from approximately the late third century BCE, were discovered in 1974 by local farmers in Lintong County, outside Xi’an, Shaanxi, China. The figures vary in height according to their roles, with the tallest being the generals. The figures include warriors, chariots and horses. Estimates from 2007 were that the three pits containing the Terracotta Army held more than 8,000 soldiers, 130 chariots with 520 horses, and 150 cavalry horses, the majority of which remained buried in the pits near Qin Shi Huang’s mausoleum. Other terracotta non-military figures were found in other pits, including officials, acrobats, strongmen, and musicians. The construction of the tomb was described by historian Sima Qian in his most noted work Shiji, written a century after the mausoleum’s completion. Work on the mausoleum began in 246 BCE soon after Emperor Qin ascended the throne, and the project eventually involved 700,000 workers. Geographer Li Daoyuan, writing six centuries after the First Emperor’s death, recorded in Shui Jing Zhu that Mount Li was a favoured location due to its auspicious geology, “famed for its jade mines, its northern side was rich in gold, and its southern side rich in beautiful jade; the First Emperor, covetous of its fine reputation, therefore chose to be buried there”. Sima Qian wrote that the First Emperor was buried with palaces, towers, officials, valuable artifacts and wondrous objects. According to this account, 100 flowing rivers were simulated using mercury, and above them the ceiling was decorated with heavenly bodies below which were the features of the land. Some translations of this passage refer to “models” or “imitations”; however, those words were not used in the original text, which makes no mention of the terracotta army. High levels of mercury were found in the soil of the tomb mound, giving credence to Sima Qian’s account. Later historical accounts suggested that the tomb had been looted by Xiang Yu, a contender for the throne after the death of the first emperor. However, there are indications that the tomb may not have been plundered. The Terracotta Army was discovered on 29 March 1974 by farmers digging a water well approximately 1.5 kilometres east of the Qin Emperor’s tomb mound at Mount Li, a region riddled with underground springs and watercourses. For centuries, occasional reports mentioned pieces of terracotta figures and fragments of the Qin necropolis – roofing tiles, bricks and chunks of masonry. This discovery prompted Chinese archaeologists, including Zhao Kangmin, to investigate, revealing the largest pottery figurine group ever found. A museum complex has since been constructed over the area, the largest pit being enclosed by a roofed structure. Cyclone Tracy devastates in Australia. IT’S CHRISTMAS EVE, 1974. Rain had been falling heavily from about lunchtime and the wind strength had picked up during the day. The residents of Darwin were busy being cheerful. Radio announcements about an incoming tropical cyclone could be heard, but faded into the background, drowned out by the crinkling sounds of present wrapping and the delicious smell of Christmas food. It wasn’t until the dark of midnight, on Christmas day, 25 December 1974, that Cyclone Tracy really began to make an impact. In the seven hours it took for the cyclone to pass over Darwin roughly 70 per cent of the small capital city was destroyed. Up to 71 people were killed in the chaos, 16 of them lost at sea. A bill of $500-600 million dollars was also racked up, as planes, cars, powerlines and structures were whipped across streets destroying buildings and infrastructure. Cyclone Tracy was just an unnamed weak tropical low about 700km north-east of Darwin on 10 December when it was first detected. Eleven days later the low developed into a cyclone that wasn’t moving directly towards Darwin. Today it’s widely suggested that an earlier cyclone, Selma, had also left Darwin with a false sense of security. The Category 2 cyclone had been on course for the city in early in December, but skirted the coastline, only touching Darwin with wind lashings and rain. The last significant storm event to hit Darwin before Tracy had been a Category 3 or 4 cyclone in March 1937, almost 40 years before. On December 24, at midnight, Tracy changed direction and moved around Bathurst Island headed straight towards Darwin. The first cyclone warning was issued at 12.30pm and the storm made landfall at just after midnight that evening. Winds reached their known peak at 3:05am at 217km/h, before the only recording device was destroyed. The electricity in Darwin failed entirely at around 3.30am. At 4am the eye of the cyclone, measuring 8km in diameter, passed across the city. All essential services including power, communication, water and sewerage went down. Theoretical calculations based on based on the central pressure of the cyclone suggested the wind would have peaked at 280km/h. These winds tore the small town apart. Adding to the impact, Tracy only crept along at 10km/h, hovering over the city for several hours. Tracy would eventually be classed as a Category 4 cyclone, in a range from 1 to 5. It’s still considered Australia’s most damaging cyclone to date. After its catastrophic passage, roughly 30,000 people were left homeless and only 6 per cent of the houses were considered more-or-less intact (apart from their windows). Between 26 and 31 December, a total of 35,362 people were evacuated from Darwin by civilian and military aircraft, while others drove away with their own vehicles. Roughly 10,500 stayed to help clean up the city. The Aussies pulled together and less than 24 hours after the catastrophic event, the tiny population of the second-largest city in the Northern Territory, Alice Springs, raised over $100,000 worth roughly $700,000 today to assist the victims of Darwin. In February 1975, then-prime minister Gough Whitlam announced the creation of the Darwin Reconstruction Commission. It rebuilt key infrastructure and many homes between 1974 and 1978, and city grew with the arrival of construction workers and their families. By 1975 the population had already recovered to roughly 30,000. The reconstruction of Darwin officially wound up in mid-1978, by which time it could again house its pre-Tracy population numbers. However, it was a city that looked very different. “A lot of the old buildings in Darwin in 1974 were constructed in what we would call Queenslander style, where the main body of the house is elevated and underneath you would put the car or the rumpus room in or something like that,” says Kevin Walsh, an associate professor at the School of Earth Sciences at the University of Melbourne. The “Rumble in the Jungle” boxing match between Muhammad Ali and GeorgeForeman takes place in Zaire. he match was scheduled for September. Both men had spent much of the summer of 1974 training in Zaire and getting their bodies acclimated to the warm, tropical climate. Ali was known for his speed and technical skill, while Foreman’s asset was his sheer size and raw power. The younger Foreman was the overwhelming favourite against 32-year-old Ali. But Foreman was injured during training, nursing a cut near his eye, so the fight was pushed to 30 October. The match took place in Kinshasa’s Mai 20 Stadium. Round one saw Ali attack Foreman with a “”right-hand lead,”” a cheeky shot thrown to surprise the heavyweight champion and give Ali a psychological advantage. Ali caught Foreman nine times in the first round using this technique, but failed to knock him out. In round two, Ali employed a new technique: He began to lean on the rope and cover up, allowing Foreman to punch him on the arms and body. This sapped Foreman’s energy without seriously hurting Ali. He dubbed the strategy rope-a-dope. Ali also delivered straight punches to Foreman’s face and leaned on the heavyweight champ to make him support his weight. He also used psychological tactics, like taunting Foreman to enrage and tire him. Near the end of the fight, Foreman hammered Ali with a huge body blow, and according to Foreman, Ali whispered to him, “”Is that all you got, George?”” to which Foreman thought, “”Yep… that’s about it.”” After several rounds of this, Ali had exhausted Foreman. By the eighth round, Foreman’s wild punches and weak defense became increasingly ineffective. Ali delivered several right hooks to the heavyweight champ, followed by a five-punch combination, and finished with a left hook and hard right that caused Foreman to stumble to the canvas. He was counted out by the referee. Rumble in the Jungle became one of the most famous fights of all times. Against all odds, Ali regained his title against Foreman, a younger, stronger fighter. It also displayed Ali’s tactical techniques to full effect: He was able to take strong blows and he alternated his fighting style—from surprise jabs to rope-a-dope, to taunting and tiring Foreman—to great effect. Posted in Uncategorized	| Tagged 1974, 30 October, The "Rumble in the Jungle" boxing match between Muhammad Ali and GeorgeForeman takes place in Zaire. The Terracotta Army was discovered in Shaanxi province, China. The figures, dating from approximately the late third century BCE, were discovered in 1974 by local farmers in Lintong District, Xi’an, People’s Republic of China, Shaanxi province. The figures vary in height according to their roles, with the tallest being the generals. The figures include warriors, chariots and horses. Estimates from 2007 were that the three pits containing the Terracotta Army held more than 8,000 soldiers, 130 chariots with 520 horses and 150 cavalry horses, the majority of which remained buried in the pits nearby Qin Shi Huang’s mausoleum. Other terracotta non-military figures were found in other pits, including officials, acrobats, strongmen and musicians. The Terracotta Army was discovered on 29 March 1974 by farmers digging a water well approximately 1.5 kilometres east of the Qin Emperor’s tomb mound at Mount Li, a region riddled with underground springs and watercourses. For centuries, occasional reports mentioned pieces of terracotta figures and fragments of the Qin necropolis – roofing tiles, bricks and chunks of masonry. This discovery prompted Chinese archaeologists to investigate, revealing the largest pottery figurine group ever found in China. A museum complex has since been constructed over the area, with the largest pit enclosed within with a large structure. Charles-de-Gaulle Airport keeps busy as Europe’s second largest airport, moving 62 million passengers in 2013, but as it celebrates 40 it is poised to further enhance its image and accommodate even more growth. The proposal to develop Charles-de-Gaulle, and the selection of the site 25 km north-east of Paris originally began in 1964, with construction on Terminal 1 starting in 1968. It was inaugurated on March 8, 1974, by then Prime Minister Pierre Messmer, and opened for business on March 13 with the much celebrated arrival of a TWA Boeing 747 from New York. The original circular terminal, considered at the very edge of the avant-garde at the time, was designed by architect Paul Andreu, with capacity to host 10 million passengers. Over the years, it has added the equally iconic Terminal 2, with its first two undulating modules opening in 1982. It has celebrated a number of key milestones since then, establishing the smaller Terminal three for charter and low-cost flights in 1991, adding 2E as a dedicated terminal for Air France and Skyteam in 2003, and the additional introductions of Terminal 2G, Lobby K, Hall L, and Hall M, in 2008 and 2012. This January, it shared its future vision of incorporating the door-to-door passenger experience recommended by key aviation design firms, with the announcement by Transport Minister Frédéric Cuvillier of a restart for the CDG Express project, which will provide direct rail link between the City of Lights and the airport. As it turns 40, Charles-de-Gaulle, can celebrate with 80 million candles, one for every passenger in its present capacity, which represents 70% growth compared to 2006. A spokesperson for Paris Airports tells us Charles-de-Gaulle expects a “huge increase in capacity over the next 10 years,” with passenger numbers expected to double over the next twenty years. Roissy-Charles-de-Gaulle has already begun plans to develop Terminal 4, in order to accommodate this significant additional demand, and they intend to keep their lead among Europe’s Airports. With present Visa restrictions at Heathrow, and passenger growth originating from a number of countries which would benefit from the versatility of Schengen Agreement connections, Paris in the second spot, Frankfurt in the third, and Amsterdam a close fourth will contend with other European airports which intend to expand their services; in what will certainly prove to be an exciting competition for the number one spot. This present agreement signed on January 20 will be in effect for the next four years. Key team members of all three airport companies will continue the cooperation they began in meetings held in Paris, Amsterdam and Seoul, over the past three years, and discuss the challenges of their Airport City concept, and the needs of international passengers. For its part, Charles-de-Gaulle intends to celebrate it’s gorgeous 40th by hosting a series of special events, which it is being very coy about and will announce this Friday. The Birmingham pub bombings kill 21 people. 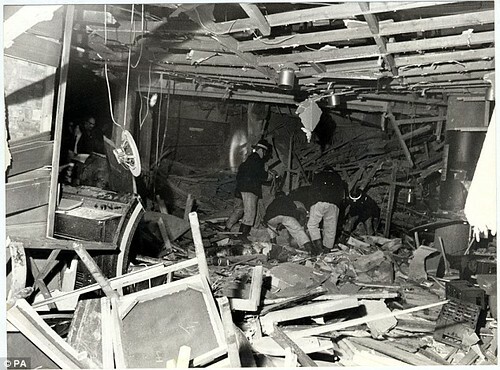 Bombs have devastated two central Birmingham pubs, killing 19 people and injuring over 180.Police have said they believe the Provisional IRA planted the devices in the Mulberry Bush and the nearby Tavern in the Town. Police attempted to clear both pubs, but the bombs went off only 12 minutes after a man with an Irish accent telephoned the Birmingham Post newspaper with a warning.The first attack was in the Mulberry Bush, which is located on the ground-floor of the 17-storey Rotunda office block. The second device exploded 50-yards (45.7 m) away in an underground bar, the Tavern in the Town.Michael Willis, 18, was in the Tavern when the bomb went off.”I was going to put a record on the juke box when there was an explosion. “There were bodies everywhere and I had to clamber over them to get out – the screaming and groaning from the injured was terrifying,” he said.Many of the injured were ferried to nearby hospital in taxis and private cars, and dozens of ambulances from all over the West Midlands were called in. Assistant Chief Constable for West Midlands Police Maurice Buck said the carnage caused by the bombs was “disastrous and appalling”. The island nation of Niue becomes a self-governing colony of New Zealand. Niue is an island country in the South Pacific Ocean, 2,400 kilometres northeast of New Zealand, east of Tonga, south of Samoa, and west of the Cook Islands. Niue’s land area is about 261 square kilometres and its population, predominantly Polynesian, was about 1,600 in 2016.The island is commonly referred to as “The Rock”, which comes from the traditional name “Rock of Polynesia”. 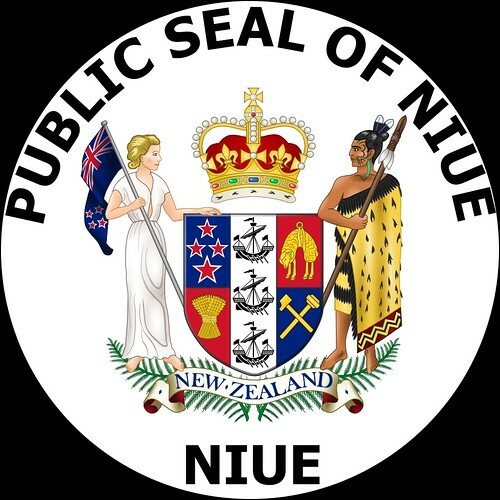 Niue, whose capital is the village of Alofi, is a self-governing state in free association with New Zealand; and New Zealand conducts most diplomatic relations on its behalf. Niueans are citizens of New Zealand, and Queen Elizabeth II is head of state in her capacity as Queen of New Zealand. Between 90–95% of Niuean people live in New Zealand, along with about 70% of the speakers of the Niuean language.A bilingual country, Niue has over 30% of its population speak both Niuean and English, though the percentage of monolingual English-speaking people is only 11%, while 46% are monolingual Niuean speakers. Rugby is the most played sport in Niue. In October 2016, Niue officially declared that all its national debt was paid off, and that there was no longer any national debt in Niue. Niue is not a member of the United Nations, but UN organizations have accepted its status as a freely-associated state as equivalent to independence for the purposes of international law. As such, Niue is a full member of some UN specialised agencies and the WHO, and is invited, alongside the other non-UN member state, the Cook Islands, to attend United Nations conferences open to “all states”. Niue is subdivided into 14 villages. Each village has a village council that elects its chairman. The villages are at the same time electoral districts. Each village sends an assemblyman to the Parliament of Niue. The Heimlich maneuver that is used to help choking victims is published in the journal Emergency Medicine. The surgeon who gave his name to the simple but dramatic procedure used to rescue people from choking saved someone’s life with the Heimlich Manoeuvre this week aged 96.Dr Henry Heimlich’s technique for dislodging food or objects caught in people’s throats has been credited with saving untold thousands of lives around the world since he invented it in 1974. The retired chest surgeon encountered a female resident at his retirement home in Cincinnati who was choking at the dinner table.Without hesitation, Heimlich spun her around in her chair so he could get behind her and administered several upward thrusts with a fist below the chest until the piece of meat she was choking on popped out of her throat and she could breathe again.After initial reports emerged of Heimlich and his son Philip declaring this was the first time the retired surgeon had used his technique to treat someone who was choking, an account emerged of an earlier incident. Heimlich lives in Deupree House, a senior assisted living centre in the city, where he and other residents have their own apartments but get together for meals in a communal dining room.Fellow resident 87-year-old Patty Ris, who was quite new to the facility, sat down near Heimlich for dinner when she suddenly began choking on a piece of hamburger meat. A member of staff was heading over to attend to the emergency, when Heimlich calmly stepped in.